Researchers are looking to apply hibernation-like techniques already used in medicine for space travel. Trials to test if ‘freezing’ a person for weeks is okay are already underway. Space scientists clearly see what benefits hibernation could have for the future of space exploration: reduction of food, water, and waste, smaller living quarters, less weight required for supplies, and last but not least, a reduced psychological impact on crew members. 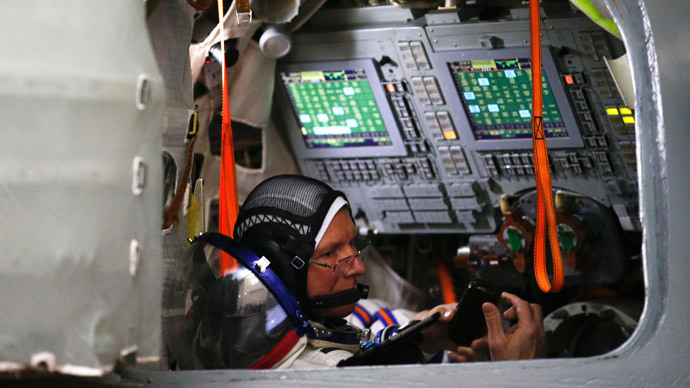 “We see the science has advanced enough to put some of the science fiction into the realm of science reality,” Leopold Summerer, head of advanced concepts team of the European Space Agency, one of the operators of the ISS told The Smithsonian media outlet. “It doesn’t mean we will have hibernating astronauts anytime soon, but we are learning from nature how to understand some of the things that happen to animals during hibernation, such as preventing bone loss or preventing muscle loss. This is already something that would be a great benefit for long-distance spaceflight,” he added. A recent NASA-sponsored research project studied the idea of putting astronauts into a state of torpor – or hibernation – for weeks. However, the project now requires further financing. NASA will be using twin astronauts Scott and Mark Kelly to study the effects of being in space for a long time, and ways to protect humans against harm. Scientists are also studying animal biology to provide answers: they have observed the Arctic ground squirrel, which sets its internal body temperature at 32 degrees Celsius during the winter, and studied a few kinds of bears that hibernate for half a year. “We think that if we understand how they do it, we can replicate it in humans,” Kelly Drew, a biochemist at the University of Alaska at Fairbanks, said. Researchers have discovered a molecule that helps the Arctic squirrel, the A1 adenosine receptor, but they still have no clue as to “what the natural signal is for torpor” and where and when it happens. While the procedure is in its infancy regards space travel, doctors are using short-time therapeutic hypothermia for patients with brain injuries or cardiac arrest. The treatment lowers the body temperature to improve the blood flow and help the body heal itself. Romergryko Geocadin, a Hopkins professor of neurology and anesthesiology, uses ice packs, liquid-filled blankets, caps, cooling IV fluids, to decrease the temperature in patients from the normal 36.6 degrees Celsius to 32-33 degrees for up to three days. “Longer than that, and the whole house of cards starts falling apart,” he said, referring to the increased risks of blood clots, pneumonia and other complications. However, there are skeptics who don’t believe the human hibernation would work. Stanford University neurobiologist H. Craig Heller studied black bears and northern brown bears, who hibernate, recycling nitrogen from their waste, and which is why their muscles stay toned. Astronauts can barely walk after returning from a few months in space, even after exercising a lot in space in an attempt to maintain bones and muscles. So a months-long spaceflight may be undoable, Heller concluded.